All ponds will benefit from the addition of a filtration system. Filters keep ponds clean, clear and healthy. Without a filter, water quality can suffer. Impurities could accumulate creating a toxic and a cloudy environment. AquA AnimaniA provides filtration for many sizes and shapes of ponds! 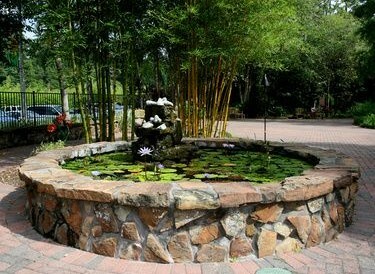 A pond filtration system is vital to having a clear and healthy pond. The filtration system consists of a pond filter, pond filter media, a pond pump and pump tubing. Some Koi pond filters have a built in UV clarifier. AquA AnimaniA is your #1 local source for ponds and pond filtration, proudly serving Windsor, Essex County and Beyond!